A huge number of events rely on sponsors to cover their costs and make them viable. Probably yours does too. Breaking even or making a profit can be extremely difficult without them. Whether you’re running a small networking evening for 50 people and need a sponsor for £200-worth of drinks, or you need a 7-figure festival headline sponsor, the principles for a winning sponsorship pitch are the same. A sponsor can either provide hard cash or benefits in kind, such as free audiovisual services or catering. But, naturally, you have to offer them something in return. 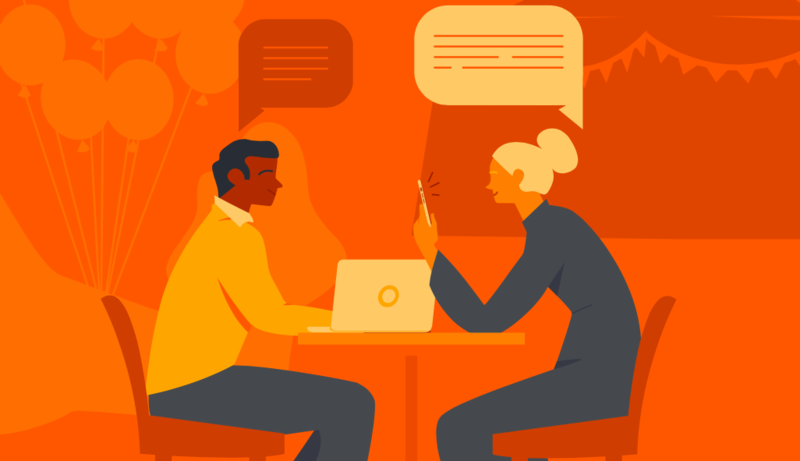 In this guide, we’ll explain what event sponsorship is, how to create a successful event sponsorship proposal and tips on using cold emails to secure your first sponsors. Access to a specific audience that they wouldn’t otherwise get in front of. Marketing value and raising awareness of their brand. CSR (corporate social responsibility) reasons. Sometimes, it can be a mix of all three. Whichever outcome your sponsor is expecting, a return on investment is very much to the forefront and this is something that event teams need to consider. Many event sponsors won’t spend money without being sure about the return they will get. Sponsorship of promotional items – this could be the event brochure, bags, ‘swag’ items like mugs and pens, or even drinks. Why not let your sponsor’s logo be imprinted on a huge ice sculpture? It’ll certainly stand out! Event signage – this is any physical branding around your event, like posters, outdoor branding and screen advertising. You could also allow them branding in the food courts, bathrooms or across the party destination for a creative twist. Event branding – many events allow headline sponsors to have branding alongside the event itself. This may be a “sponsored by” tagline under the event name, or even the naming of the event itself. For example the “Virgin London Marathon”, named after the key sponsor, Virgin. Online branding – consider allowing your sponsor to “take over” your online channels, in a Twitter talk, a Facebook Live session or even using their brand colour on your homepage background. Speaker or hosting sessions – providing sponsors with a chance to get in front of their key audience is a great sponsorship opportunity. This could include hosting a roundtable discussion, introducing the speakers or presenting a talk. If you want to get more creative, this could also include sponsoring a sunrise yoga session, a drinks party or a colourful ‘kidult’ play area. Brand stature: events that tie into a brand’s mission will help the brand to achieve more stature in the marketplace. Not only will their branding be on show, but they’ll also be in a room full of people who are within their target audience. Brand attitude: for a brand trying to align itself with a certain demographic and a certain attitude, sponsoring an event is a great way to realign brand positioning. Look at the brand Red Bull that sponsors sports events and athletes. This is because Red Bull wants to attract the attention of a sporting audience. Brand loyalty: for a brand that wants to nurture a new audience or customer base, sponsoring an event can help to reinforce their links with that audience and create genuine loyalty. Another advantage of event sponsorship is internal marketing, aimed at the company’s own staff. For staff members who are disengaged, perhaps because they’ve been through a merger or a period of growth, this helps the company to realign their values. Through sponsoring an event they can a) show staff what kind of a company they are, and b) they can get their staff involved. Event sponsorship these days is about taking part. It’s not just about writing a cheque and seeing your name stamped all over banners. The advantage for these companies is that their staff become involved with the event. Many companies now rely on online methods of lead generation, but event sponsorship poses a great opportunity to get face-to-face with real people. Sponsors are often given the opportunity to meet with event attendees and capture their data. This could be at a networking party, after a speaker session or on a tradeshow booth. All of which, could help to fill their pipeline for the coming year and generate news leads which will lead to sales, a huge sponsorship advantage. How can you find the right sponsor match for your event? If an event sponsor isn’t the right match for you, it’s going to be incredibly difficult to get them to spend money. To determine the right fit, you need to understand what your event is all about. Who your audience is, what their demographic is, what their beliefs are, what their interests are and how you’re really connecting to them in a way that perhaps a brand can’t. This is what allows you to assess the value you might have to give to a potential sponsor. Before you begin approaching any event sponsors you need to create an event sponsorship proposal. While no sponsorship proposal or pitch deck can take the place of a good old fashion conversation, having the right introduction or follow-up, in the form of a pdf or ppt sponsorship deck, will play a pivotal role in your success. As the first contact with you and your event. In all three use-cases, it is important you include all of the most important and value-highlighting facts about your event in the sponsorship proposal – but nothing else. The event sponsorship proposal – in the form of a pitch deck or pdf – should be short, sharp and supportive of your overall sales pitch. Nothing more, nothing less. To help guide you through the creation of a great pitch deck, we’ve compiled an event sponsorship template with a completed example which you can download using the form on the right. Once you have your proposal document ready to go, it’s time to find the right people to approach. This is all about research. Think about keywords, age ranges and spending power of the type of vendors you’d like to attract. Find companies within your event’s niche; whether you are talking about extreme sports, music or culture. Then look at what your target companies have sponsored previously. Look at the business news and marketing magazines for little snippets of news about what companies are doing, where their marketing direction is taking them and how they want to communicate with their audience. You can also use this to tailor your pitch and grab their initial interest by showing that you’ve done your research. If you already have a mutual friend or have met the person in real life, approaching them may be slightly easier. However, if you are starting from scratch as a cold introduction, you may want to use internet’s oldest and most trusted tool: email. Email’s effectiveness is often dependent on the quality of your writing. To help you out on that front, we brought in the big guns: Grammarly, a company whose service is trusted by millions to make their writing clear, effective, and mistake-free. Instead, write a subject line that gives the sponsor context for why you’re reaching out to them. Convincing a prospective sponsor to open your email is just the beginning. Your next challenge is keeping their attention – come off too pushy and the potential sponsor will quickly wonder why they opened it in the first place. The same applies if you aren’t clear about what you are asking. Striking a balance takes practice. There are better ways to break the ice and get down to business. Let’s say your prospect was recently recognised as an industry leader by a well-respected publication. A brief note congratulating them on their accomplishments will demonstrate that you’re interested in their goals. But while it’s important to give context to your relationship to the sponsor, don’t write a novel. Once you’ve briefly mentioned your mutual connection, transition into the purpose of your email. You can demonstrate how much you respect their time by keeping your request concise. “Spare fifteen minutes to give your expert feedback” is only eight words in length and articulates the request perfectly. By now the potential sponsor should know who you are and what you want from them. The last piece of the puzzle is telling them what you want them to do. Be explicit, and include a clear call to action. “Would you be able to put me in touch with [referrer name]?” or “Does 15:00 work for a phone call?” are questions that ask them to commit. Closing with an expression of gratitude is shown to increase response rates, so while you should avoid thanking your prospects in advance, a simple “thanks” can go a long way. Sponsorship is a relationship business. The better you can build connections with your potential sponsors and establish trust, the more valuable your event will become. Here is an example of a standard, tiered, sponsorship system that you can use to get vendors and potential partners to agree to sponsor your event. You can see how the benefits of that sponsor increase alongside the cost of sponsorship. Many event organisers will also have one main sponsor, who will have exclusive benefits that are not available to the other, lower tiered sponsors. Opportunity to address all event attendees in a speaker session. Brand logo on the cover of all printed event materials and brand profile page. Conference holding slide with brand logo and Twitter handle. 20 social media posts to promote attendance prior to the event. Exhibition stand 20m x 20m. One-page ad in the event brochure. 3 guest blogposts on the event website. 1 key interview in the event podcast. Main sponsor of delegate drinks networking event. Sole branding of delegate goody bags. Brand profile page in printed event materials. Small logo on sponsor page of conference slides. 10 social media posts to promote attendance prior to the event. Exhibition stand 10m x 10m. Chance to hold a 30-minute speaker session on the campfire stage each day of the event. Free printed leaflet in the delegate goody bags. Attendance to delegate drinks networking event. 2 social media posts to promote attendance prior to the event. Exhibition shell scheme pop up stand 5m x 5m. Having one sponsor for each activity or area; for example, a drinks party sponsor or a main stage sponsor. Having a headline conference sponsor that’s dedicated just to your conference programme. Sponsors for specific sessions, talks or breakout rooms. Sponsors who have access digitally to your audience; whether this is on your website, event page, social media or as a mention in your email newsletter. It’s important to give your sponsors the recognition they deserve while the key audience is still present – this is who they’re trying to reach after all. Take a few moments at the end of the last session, or during an awards or networking party, to thank your sponsors and make them feel appreciated. Thanking your sponsors in person during the event will let them know that you haven’t forgotten about their contribution and will also allow them the chance to discuss any feedback from the show. Emotions are often heightened during the end of a successful event and this is a great time to broach future opportunities for partnership. Post-event send sponsors a thank you note, preferably one that is handwritten and personalised. This shows more effort than an email and is something visible that the sponsor can keep, helping to reinforce your event in their mind. If you don’t have time to thank all of your sponsors during your event, a social media shoutout will also help them to feel valued and could send more followers their way. Try to think about a creative way to do this, such as using video, an Instagram story series or using photos of them from the event, to make it entertaining. Helping to promote your sponsor’s content outside of the event agreement will help generate good will and show them that you are thinking of long-term partnerships over short term gain. This could be retweeting a sponsor’s tweet, resharing a blogpost or adding their videos to your YouTube channels. Creating a case study on your website about the sponsor and their involvement in your event will help them to receive additional exposure and gives you a reason to stay in touch after the event. This has the added benefit of being collateral you can use to entice new sponsors next time. It’s true that sponsorship is a competitive market place, with many worthy organisations bidding. That said, there are a great deal of companies out there with budget for this type of activity, and there’s no reason you shouldn’t be able to access it by following the advice above. Was this article worth your time? Bel is an experienced journalist specialising in events. Formerly deputy editor at leading trade magazine Meetings & Incentive Travel and its website meetpie.com, she now writes for a range of publications on a freelance basis. Have questions about your next event? We're here to help. Sign up and start selling tickets today.